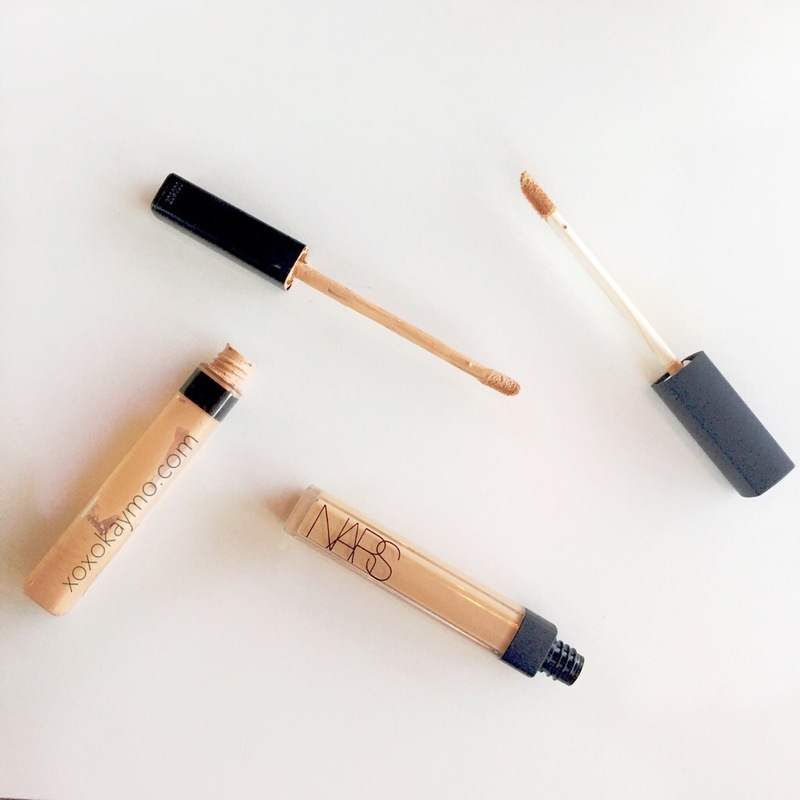 Concealer is a must have, staple makeup product for my everyday makeup routine. I can go on without foundation, but concealer is a must. With that being said, one of my favorite concealers for a while now has been the Maybelline Fit Me concealer. I have heard that it is very similar to the NARS Radiant Creamy Concealer, but the reason why I have not picked it up yet was because of its price. 30 dollars for a concealer wasn’t my cup of tea. Then I went down to Florida and tried my cousins NARS concealer and literally fell in love right then and there. No really, I went out the next morning and bought one! I use Maybellines Fit Me concealer in 25 Medium, and picked up NARS concealer in Ginger which is a pretty similar dupe from Nars. As far as packaging, they are both in clear plastic tubes with a black top, however the NARS packaging is a lot more luxurious and better quality than the Fit Me concealer. I actually like the size of the Fit Me concealer more because it’s easier to travel with it. The brush applicator is almost idenical, however the Maybelline Fit Me concealer is a bit smaller. As you can see in the pictures, the Fit Me concealer is a lot messier. 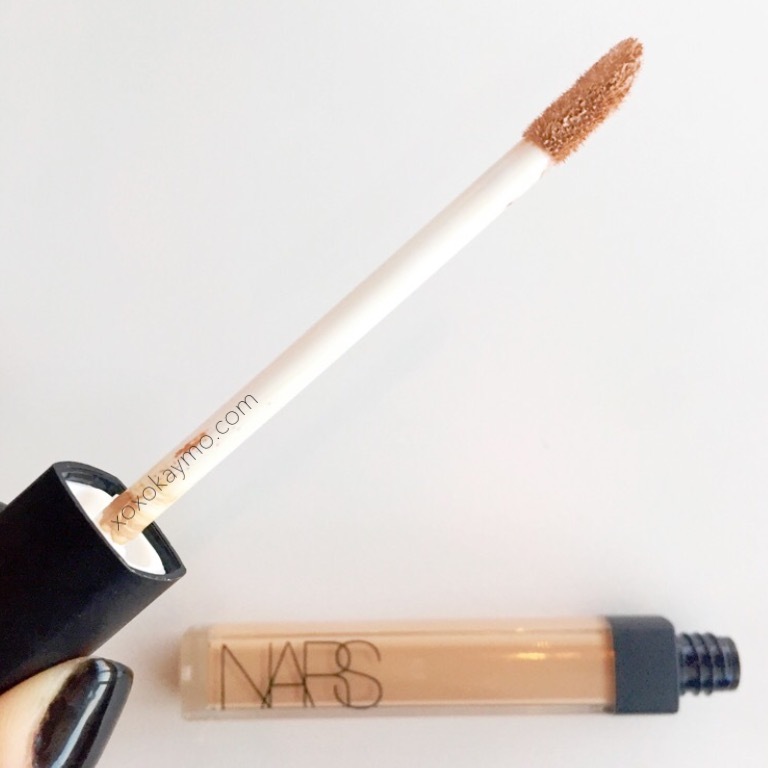 The NARS packaging removes the excess product from the applicator. Right off the bat, I’ve noticed there was a difference within the consistency between the two. The Fit Me concealer is runnier and more liquidy than the NARS which is thicker. 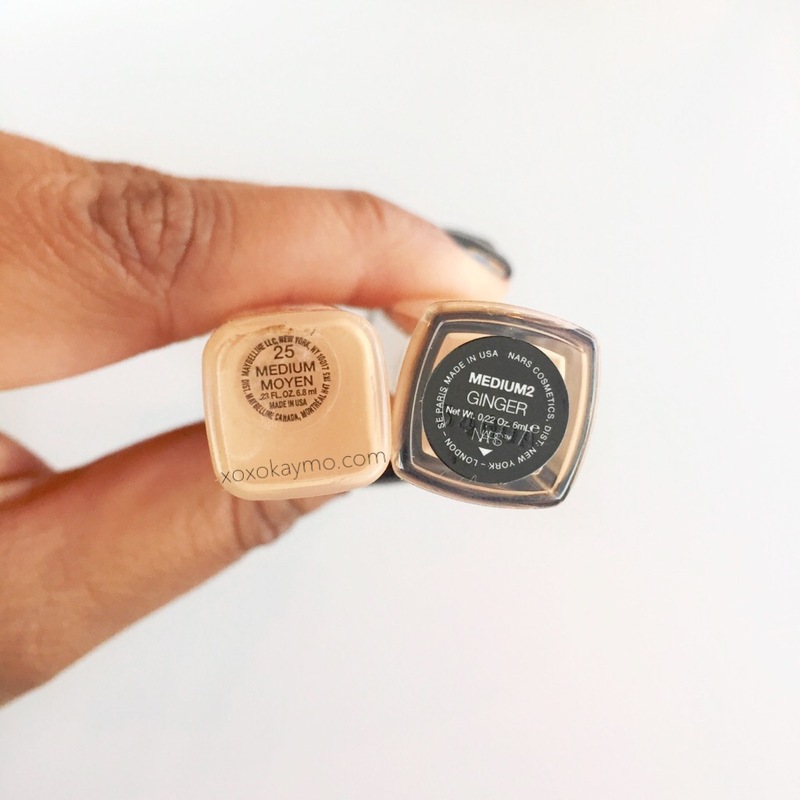 Along with its consistency, you can tell by the picture above that the NARS concealer is more opaque and has more coverage than the Fit Me concealer. You also need very little product and it’s easy to blend, where as you need more of the Fit Me Concealer product to build it to full coverage. I’ve also noticed that the NARS concealer lasts a bit longer than the Maybelline Fit Me concealer. I would recommend on using the Fit Me concealer if you want more of a natural look. Overall, they are both really great products. Between the two, I have to go with the NARS concealer. I just love how much more coverage it gives which is exactly what I look for. Have you tried these products? Which one do you prefer?